About a month ago, I broke in crazy spots LIKE CRAZY! I couldn’t look myself in the morning and not shed a tear (no joke) I was heartbroken, I didn’t want to wear makeup, I wanted to die, My face looked that bad. I knew hiding from the world was no option as I was working in retail, my job was based on interacting with customers, what the hell was I supposed to do? Fast forward to week later, my spots were clearing, I was slaying again until..wait for it.. I tried a new product! So after a day of work, I decided I wanted to try a new skin care product, I was not really looking for anything to clear my spot but I really wanted to tame my oily face, like I swear this is my year to stunt on people but I can’t stunt with my face looking like a frying pan now can I? Anyways, I ended up going into boots not knowing what the hell I was looking to buy. If you are looking for a skin care product I would honestly recommend you reading various reviews before going to buy the product! I knew I wanted something to control the oils but I had no idea what product or brand would be suitable for my skin. I don’t know how but I ended up at the Clean & Clear stand, I am pretty sure the reason for this was probably there was a special promotion going on. The first product that caught my eyes was the advantage oil control cream wash. I quickly glanced over the product description, which said it instantly washes 85% of excess oil and clear skins in 3 days! That automatically sold it to me, the thought going through my head was literally YAS killing two birds with one stone.. If only! I ended up buying the dual action moisturiser with it just in case. Introducing Clean & Clear® Advantage® Oil Control Cream Wash; a clinically proven formula that instantly washes away 85% of excess oil for fewer spots and to leave your skin looking shine-free for longer. This dual-action wash combines oil-absorbing PowderParticles™ and our patented Advantage® spot-fighting technology to instantly remove up to 85% of excess oil* whilst helping to clear spots and blemishes.Oil-free. Won't clog pores. Won't overdry skin. *sebum measurement, average value on 21 subjects immediately after application. I felt that the cream wash did help maintain the oil on my face, I hardly used my Urban Decay Oil control spray while using this cream wash, the only problem was the spots! 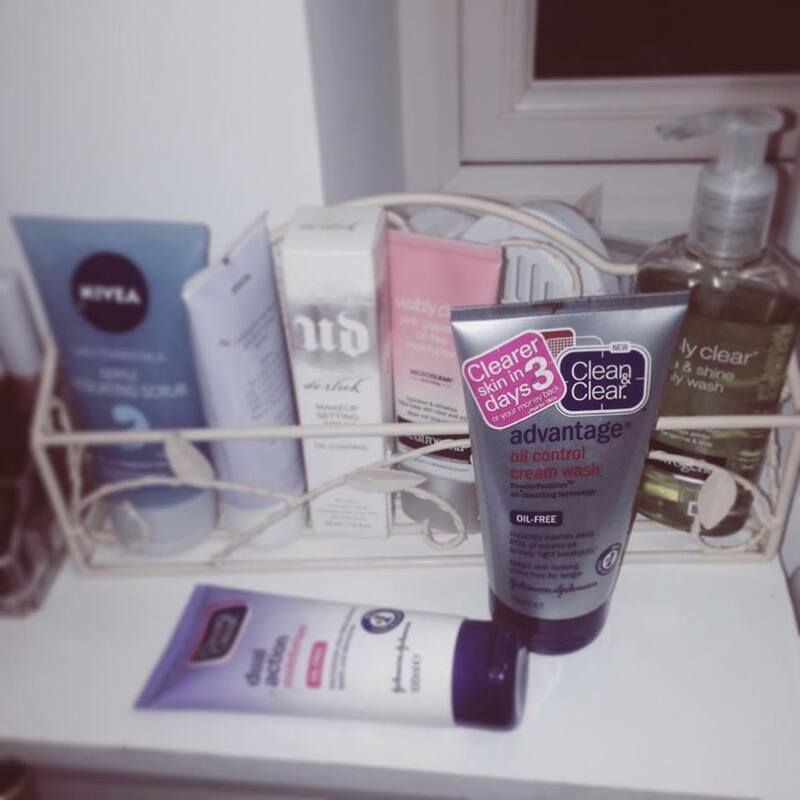 It certainly did not clear my skin in 3 days! In fact, after getting rid of one spot another one was coming! I was so annoyed! Yes I wanted a product to help my oily face but I definitely did not want a face filed with spots! I would much rather beat my face every 3 hours than go around with crazy spots! There were days were my face would like perfectly fine and other days it was just a mess. To others my face looked fine but to me it didn’t. This product is definitely not a yay I would recommend, but it’s not a no either, it’s simply a maybe. I love the fact that I was able to go for a long period of time without having to worry about anything but I did not like waking up to new spots on my face. I have stopped using both the cream wash and moisturiser and I have switched to a new facial wash which I cannot wait to share with you, plus I have been drinking crazy amount of water!